Melissa Bime (Cameroon), Founder of INFIUSS, giving her acceptance speech after she won the USD$25,000 Grand Prize at the 8th annual Anzisha Prize awards gala | Courtesy Photos/File Photo. The Anzisha Prize in its 9th running has opened applications for entrepreneurs, innovators, inventors, among other—to submit their proposal for the 2019 Anzisha Prize Awards. 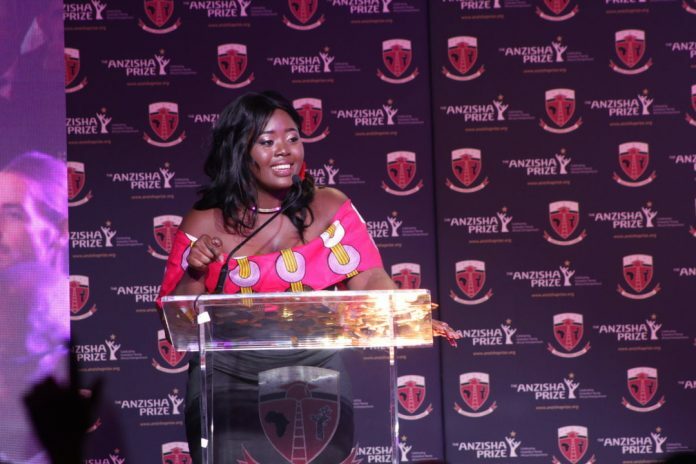 Anzisha Prize one of Africa’s biggest award for young entrepreneurs. The initiative is run by African Leadership Academy (ALA) in partnership with the Mastercard Foundation. On the other hand, it celebrates, and cultivates the next generation of young African entrepreneurial leaders. Anzisha Prize opened the application portal for its second cohort on 1st Feb. 2019. Interested applicants can start sending in their proposal on 15th Feb. and not later than 13th April, 2019. Only 20 finalists will be announced—and will share USD$100,000 (roughly UGX367.95 million) non-refundable seed-funding. The overall winner will receive USD$25,000 while the 1st and 2nd runners up will get USD$15 000 and USD$12 500, respectively. Meaning, a total of USD$52,500 will go to the overall winner, 1st and 2nd runners-up. The remaining balance USD$47,000 will be divided to the 17 remaining finalists. One finalist will receive a USD$10,000 agriculture prize. Winners will also have access to renowned entrepreneurial leadership curriculum and training with the potential for further investment. In addition, they will also receive consulting and mentorship services. To be eligible for the competition, applicants MUST be aged between 15-22 years—national of an African country with a business based in Africa for African customers/ beneficiaries. In addition, the business invention or social project can be in any field or industry—must be up and running. As per our awareness, two of Uganda entrepreneurs have benefited from the Anzisha Prize Awards. In 2018, Joan Nalubega; Co-Founder of Uganics won USD$12,500 as the second runners-up of the competition. 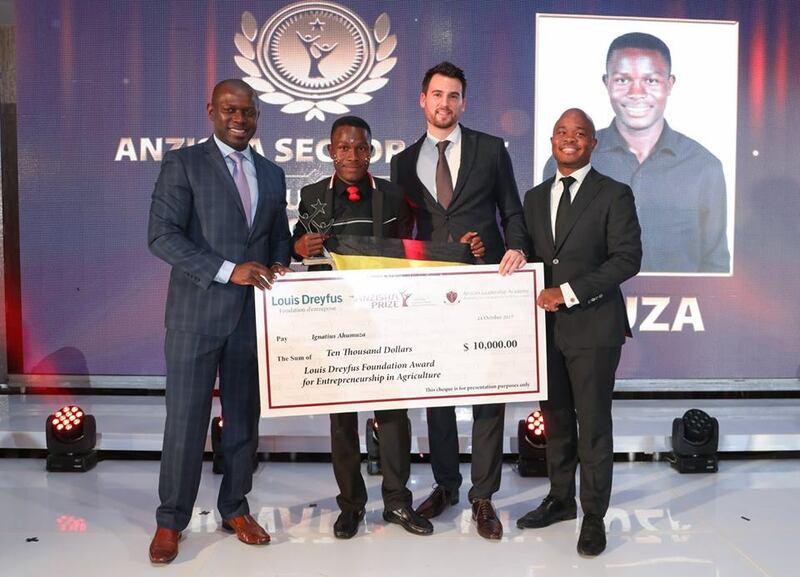 In 2017, Ignatius Ahumuza; Co-Founder of Art Planet Academy who emerged as a finalists won the USD$10,000 agriculture prize. Notably, Noah Walakira; Founder of Namirembe Sweater Makers emerged as finalists but lost to Cameroon, South Africa, and Ivory Coast—who emerged as overall winner, 1st and 2nd runners-up respectively.